Eminent Urdu researcher, critic and scholar of classical Urdu texts Rashid Hasan Khan passed away at his native Shahjahanpur on the night intervening February 25 and 26. The famed scholar was talking to someone on phone when he died of a sudden cardiac arrest. A leftist his first job was in a factory in his native town. Khan had shifted to Delhi in 60s and joined the Delhi University. He dedicated himself to research and grew in stature steadily. Khan Sahab had a classical bent of mind. Also, he considered critic at a higher pedestal than poet. He wrote several important books including Classical Urdu Farhang. 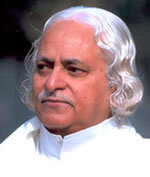 His research works on Bagh-o-Bahar, Fasana-e-Ajaib, Gulzar-e-Nasim, Sehrul Bayan, Masnawiyat-e-Shauq are well-known. He was the first Urdu litterateur to be conferred with Raja Ram Mohan Rai award. After retirement he returned to Shahjehanpur. On his death Rafat Sarosh said that if a researcher would have worked so hard in any other country and in any other language he would have received numerous honours. But, unfortunately, he was the litterateur of Urdu. Also, Rashid Hasan Khan preferred solitude. He had returned to his roots after retirement, shifting back to his ancestral house, where he pored on old texts for hours at night. Yesterday I met a girl. A dusky, tall, around 21-22 year old, dressed in violet and moving around swiftly and with grace. The young woman was not fair but her face looked so radiant that I was entranced. The colour of the dress suited her so well. To set the record straight, I have no fancy for extremely fair girls, rather, prefer the earthiness and 'namak' on face. I couldn't recall what was particularly special in her looks but then the whole wujood brought such warmth. Ajeeb si mas'hoorkun khushboo thee chahaar-jaanib uske. Mercurial, Seemab-sifat, as we say in Urdu, she was everywhere, almost floating in air, lyrically. Woh udtee rahi. So enthusiastic she was about the smallest things that I was left in a daze. As the veteran poets say.....Dil chahta hai kya kya kuchh! Bataiye usko abhi shaadki karne ki kya zaroorat thee! Uska woh mardood bhi that wahan. Hopefully they don't blog. Now it seems all girls are alike. Ab to jaise sab ladkiyan ek jaisee hone lagee hain....ek jaise naqsh, ek hi jaise kapde.... jeans-top aur wohi husn....na woh sabaahat, na malaahat, na namak, na hashr-samaaniyan....all alike..
Magar aaii woh shola-e-jawala aur hamein wapas woh ehsaas hua...While she was setting me ablaze with her looks, simultaneoulsy shabnam was falling on me in the form of her voice and her khiraamaN-khiraamaN chaal ie the wal. Maan gaye. Duniya se husn unqa nahin hua.. Falling in love is different yet the joy of discovering the sort of beauty which overwhelms you and takes all your senses under control, is truly amazing. And what about this serendipity of finding a girl at a place you never expected! Dil to chaahta hai jazbat ko bayan kiya jaye marhoom Fazal Tabish ke alfaaz mein lekin kamzor dilwale sharif log bhi blog paRhte hain, kahin achhut qaraar na de diya jaaon, is se Darta hun. Just now the news has come that Jabir Husain has been conferred with the Sahitya Academy's prestigious award for Urdu. Professor Jabir Husain is a multi-faced personality. As chairman of Bihar Legislative Council, he did a great job towards promotion of Urdu. The voluminous magazine 'Dastavez' he brought out every month has no parallel. He has written over a dozen books. 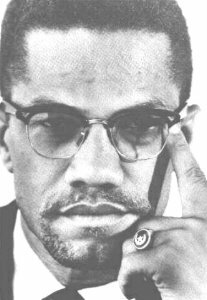 He is not just a poet and author but also a social activist and politician. I don't think there is any more dynamic personality in India as far as Urdu is concerned. Especially, because he is active in politics, and yet he is doing work on the ground. His passion for popularizing Urdu and pushing for its use in administrative work is exemplary. So David Irving has been jailed for denying Holocaust. The fact remains that Jews and Holocaust are a Holy Cow. You can't discuss it. But when it comes to Muslims, everybody is gunning for their religion. Call Muslims terrorists, extremists and mock at Islam--all in the name of free speech and right to freedom of expression. 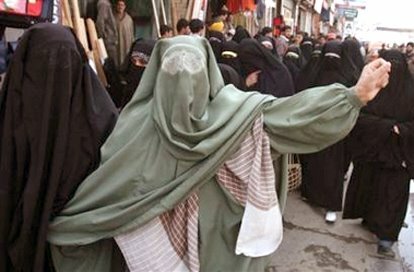 These crazy folks in Iraq are again back to violence. These Shias and Sunnis. Can't they just be Muslims or say Humans. Why blame anyone when these sick creatures have nothing else except killing each other and suicide bombing at the shrines. The dome of a Shia shrine was destroyed. Then Sunni mosques were attacked. Have Satan possessed these crazy guys? Why there are no cartoons for children in Urdu magazines, newspapers? I feel the decline in circulation of Urdu newspapers in India is due to the fact that except politics, protests and religion they don't carry any other thing properly. There is nothing for children. No cartoons, no comics. I have never seen Charlie Brown or Archies in Urdu papers. Till a few decades back, there were cartoon strips in magazines like, Khilauna. But now there are no such magazines either. The social magazines or other journals also publish the children's corner, but there are no comics. Short stories, poems are fine but cartoons immediately draw the attention of the kids. If there is a comic strip the child will read it, get used to the script at an early age and get addicted to the Urdu paper as well. I wish that the editors of mass circulated daily newspapers like Roznama Sahara, Munsif, Siasat, Urdu Times, Inquilab, Akhbar-e-Mashriq, Aag, Salaar, Etemaad and Azad Hind realise it. This post was published long ago. A good news is that now there is attention towards the lack of cartoons in Urdu magazines. The controversy over offensive caricatures continues all over the world. India simmered again on Friday. The 'fatwa' over the ongoing controversy regarding derogatory cartoon, has come from Meerut. Haji Yaqub, who is a minister in the Uttar Pradesh government, today announced a reward of Rs 51 crore to the person who would eliminate the cartoonist. 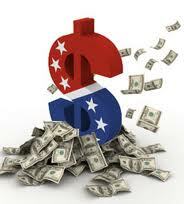 The amount roughly translates at around $10 million or Rs 500 million. Addressing a huge rally in Meerut in Western UP, Haji Yaqub Qureshi, said that the person who will perform this task will be weighed in gold. The announcement was made soon after the Friday prayers were held. Naturally, media picked up the news. Such a call definitely evokes the interest of journalists. But I am wondering when will this controversy end? I think there have been enough protests [against caricatures of Prophet Muhammad in a Denmark newspaper] now in the country. The protest of Muslims on Danish caricature issue in Venezuela had brought spotlight on the presence of Muslims in Latin America. The countries of South America have substantial Muslims and it is estimated at 2 million Muslims live in Brazil. Though this is a minuscule percent in the huge population of Brazil, the presence of Muslims in cities is nonetheless significant. Though majority of them are from the middle-east who emigrated to South America in search of jobs, there is a population of 'reverts' as well. The Blacks who were taken as slaves for centuries and the crypto-Muslims from Spain (who were forcibly made Christians but secretely remained Muslms during Inquisition in Spain) kept observing Islam. Until the end of nineteenth century these Muslims families were present in Latin America. But except Surinam where Indian Muslims reached late and maintained their distinct identity, the rest somehow disappeared in the most Christian of all continents--South America. Some of these families have converted or rather reverted to Islam. There is also a so-called Muslim triangle at the border of Paraguay, Argentina and Brazil. Here migrant Arabs and Palestinians reside. Argentina has a visible Muslim population, especially in Buenos Aires that has several mosques. Among major countries in the continent--Brazil, the biggest country, has a population of over 180 million and Muslims account for less than a million but they have presence in cities like Sao Paolo and Rio De Janeiro. Argentina has nealry 700,000 Muslims. The community is quite visible in Venezuela's Caracas and Chile's Santiago. Suriname has the largest percentage of Muslims, around 18%, though it's a small country. Guyana has nearly 12% inhabitants practising the religion. Trinidad and Tobago that has a population of over 1.2 million has a Muslim population of 8-10%. However, in the last couple of years the increase in trade has led to growth in Muslim population. Indigenous South Americans have also converted to Islam. There are Islamic centres in almost every country and the major cities, which help in acclimatising the coverts. Muslims also live in Bolivia, Uruguya, Panama, Colombia and Peru. Hispanics have an old relationship with Islam and though it had the least Muslim presence among all continents, steadily Islam is also becoming part of the South American cultural heritage. In Ludhiana jail, prisoners wrote applications with their blood to the Prime Minister, against caricatures published in Denmark. They also wrote to the Denmark government against publication of the offensive caricatures in Danish and other European newspapers. In Lucknow, Bhopal and Ahmedabad protest rallies were held. In Bhopal the rally was so mammoth that the walled city came to a grinding halt. 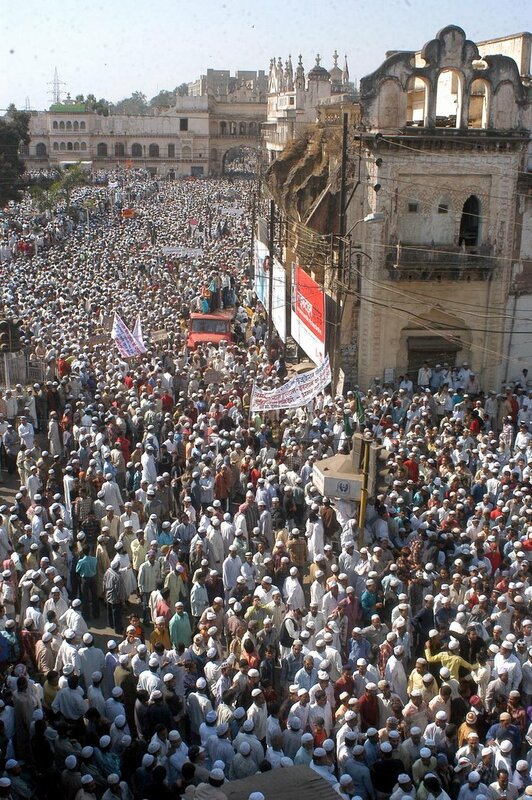 The photo of rally in Bhopal where estimate of participants were made at over 2,00,000. Click on photo to see the full picture. The participants were holding placards like 'We believe in Jesus and Mary, why can't you just respect Prophet Muhammad'. The banners were in Urdu, Arabic, English. Also, in Hubli (Karnataka) the protest was held. 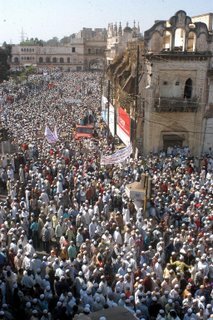 In Kanpur, the largest city in UP, there was a big demonstration. In Nagpur the demonstrations turned violent when they were not allowed to reach Commissioner's office. In Delhi, the flag of denmark was placed on the stairs of Jama Masjid and protestors walked on the flag to express their outrage. Who has not heard of the legendary love story of King Baz Bahadur, a Muslim, and the Hindu girl Rani Roopmati? The enchanting and eternal love story is spread on every nook and corner in Mandu, the mountain city. Mandu was once the seat of the great Malwa kingdom that was ruined like Granada and Cordoba in Spain. While six centuries after inquisition, the sounds of azaan are back again in Al-Andalus, Mandu remains as deserted nearly five centuries after Mughal Emperor Akbar destroyed it in 1562. The Mandu fort is said to be the biggest single fort in the world and is spread over 80 sq km. 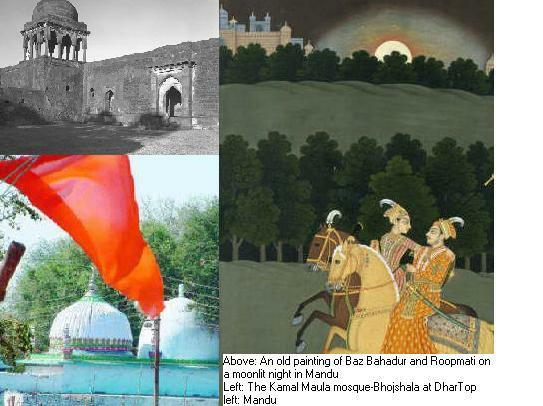 The Jahaz Mahal, Hindola Mahal and numerous palaces and mosques stand testimony that once such a state existed in Malwa [the western Madhya Pradesh] in the heart of India that was a cause of envy for even the mighty Mughals. The Jama Masjid here has the most unique acoustic system in the world. Hardly any Muslims remain in Mandu and we remember the place when the Bhojshala dispute figures in news headlines. Dhar that is close to Mandu was seat of Salateen-e-Malwa [Sultans] for sometime and here exists the temple that was converted by Raja Bhoj. This Raja Bhoj is said to have converted to Islam after seeing the 'mojza-e-shaq-ul-qamar' [The miracle of moon getting split into two parts]. In fact, there have been several kings of the same name, and hence a section of modern historians question whether it was this particular Bhoj. Just like Ayodhya, it is a place where right-wing Hindu groups want control. 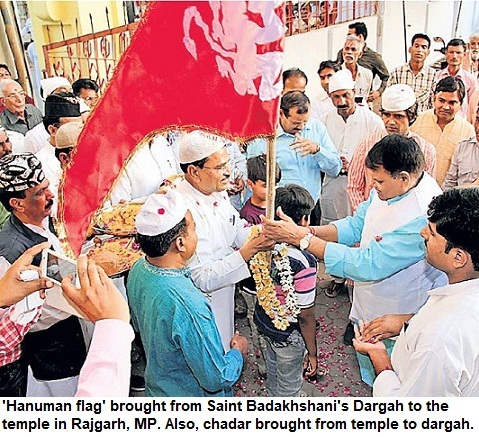 Already, a 5,000 strong police is deployed at this Masjid Kamaal Maula-Bhojshala complex on Friday when Namaz and Hindu's Basant Panchami puja will fall on the same day and in the same premises. On February 3 this place will see thousands of Hindu activists trying to stop Muslims for prayers. 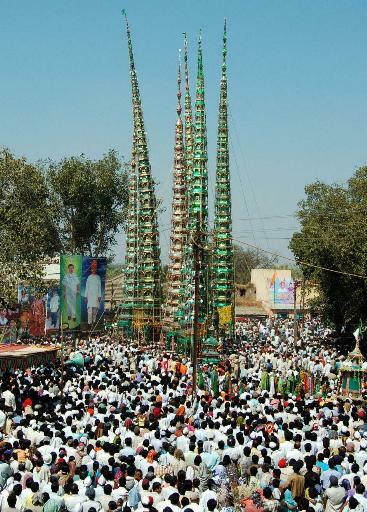 Dhar has a substantial Muslim population. Between Dhar and the deserted Mandu city likes Nalcha Sharif where exists the tomb of a Sufi Saint. Probably Najmuddin Ghaus-ud-Dahar Qalandar. The splendour of Mandu was such that it was known as Shadiabad [City of Joy] and had a population. It had a population of 15 lakh when poet-king Baz Bahadur ruled Malwa region. It is here at Mandu that Hoshang Shah Ghauri's marble tomb exists. It is this tomb that inspired the construction of Taj Mahal. 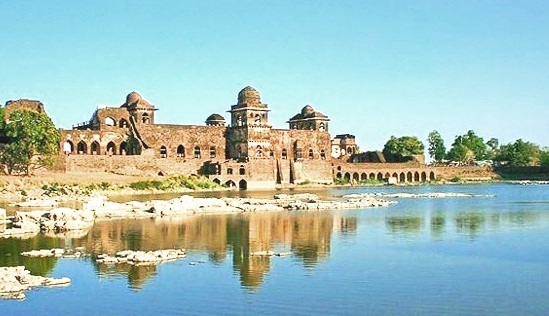 The unique Afghan architecture of palaces in Mandu are unrivalled. The Jama Masjid here has the most unique acoustic system in the world. There is no need for loudspeakers, as it has been built in such a way that the sound gets amplified and is heard to a long distance. If you haven't seen Mandu, you have missed a chapter in the splendour of Indo-Muslim civilization.